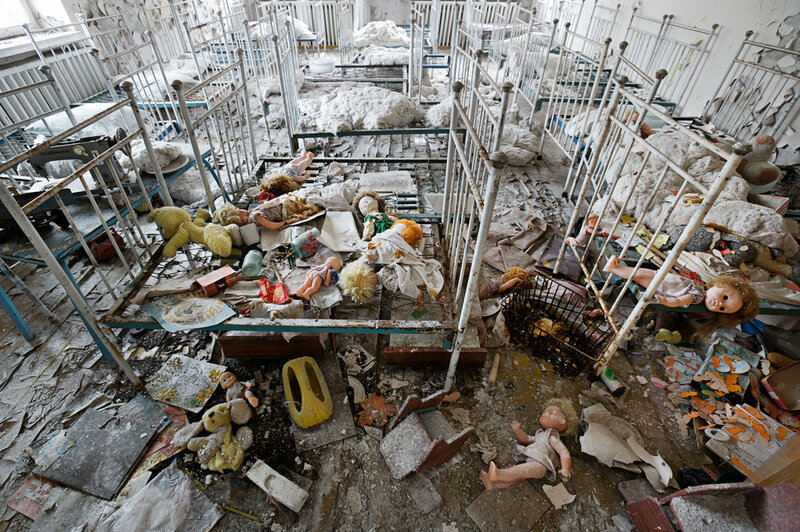 From the first day, officials downplayed the damages of the Chernobyl disaster and the politics of misinformation continues: A recent United Nations report claims as the result of the disaster an estimated four thousand people will eventually succumb to cancer-related illnesses. But, Greenpeace and other environmental organizations have accused this report of whitewashing Chernobyl’s impact and state that 200,000 people have already died between 1994 and 2000 as a consequence of the accident. 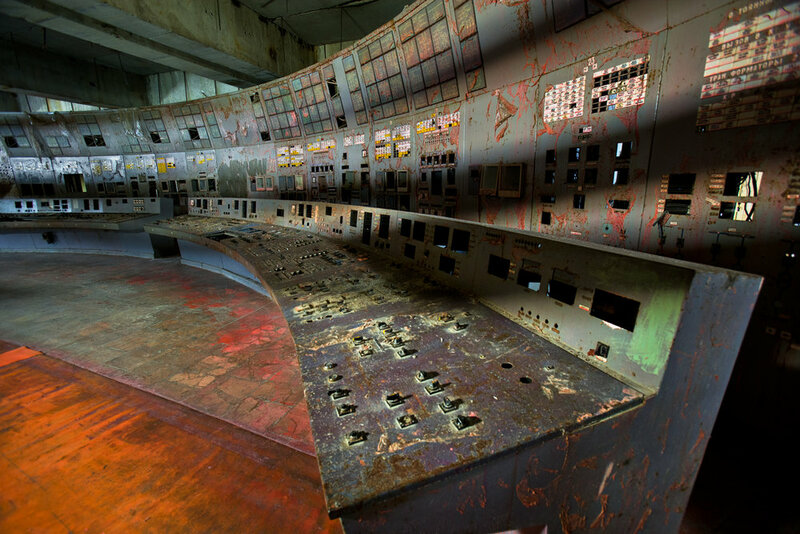 The Chernobyl Power Plant, located 65 miles northwest of the Ukrainian capital of Kiev, sits inside the fenced 30 km Exclusion Zone. Radioactive remnants of the failed reactor linger inside the so-called sarcophagus, a 24-story concrete and steel encasement hastily erected after the accident. 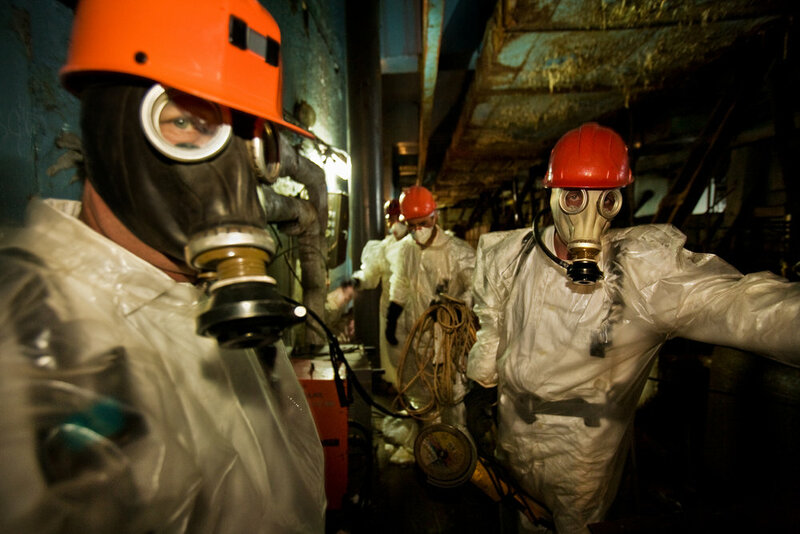 Radiation levels are so high there that heavily protected workers are only allowed one shift of 15 minutes per day. The evacuated town of Prypyat, once inhabited by 50,000 Chernobyl plant workers, is a chilling ghost town still littered with the remnants of its hasty abandonment. Within the Exclusion Zone, in dozens of abandoned villages collapsed houses are disappearing under overgrowth; stray dogs – looking more like wolves – maraud for food. Ignoring radiation levels, 400 elderly people have returned to their homes.